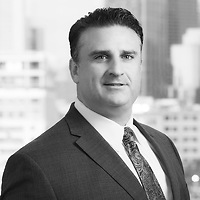 Todd Gerety, Of Counsel in Nutter’s Intellectual Property Department, outlined how written opinions of counsel are gaining renewed interested as a tool for avoiding willful patent infringement following the Halo decision in Corporate Counsel. In the article, “Written Opinions of Counsel: Valuable Tools for Avoiding Willful Patent Infringement and Enhanced Damages,” he analyzes how Halo does not explicitly impose an obligation to obtain opinions of counsel. However, Todd points out that recent case law suggests obtaining an opinion, or absence thereof, may be a factor in a court’s decision for awarding enhanced damages. Todd’s article was also published in InsideCounsel.